This silk Tweeter is designed around the eu-speaker norm. The driver is very airy and energetic with the smoothest power response. Power handling is excellent. 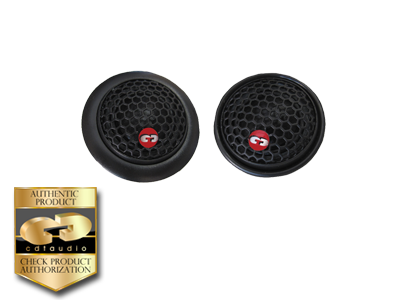 The silk version is a touch sweeter and less critical than the metal dome tweeter which has more energy response at the top end. The driver is cooled by ferro fluid Neodymium magnet including swivel surface and flush mounts.